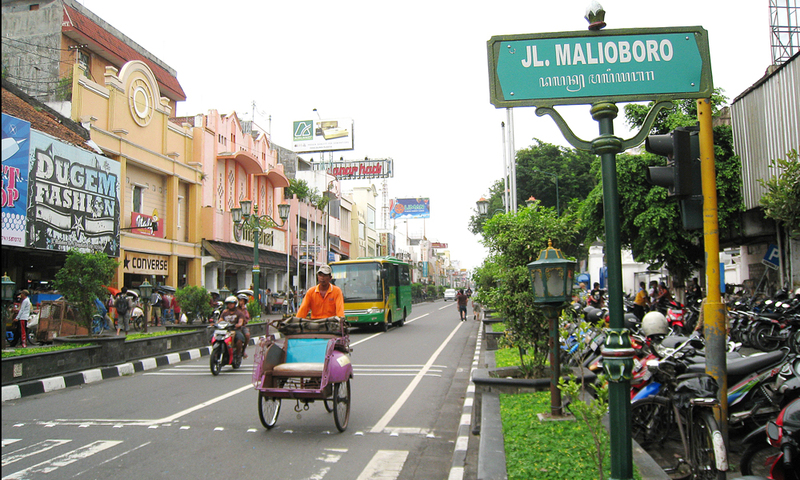 Yogyakarta, affectionately called ‘Yogya’, is a delightful blend of the old and the new. At its core is the elegant Sultan’s Palace (built in 1755), purveyor of traditional Javanese arts:batik-making, mystical keris swords and the Ramayana epic portrayed in wayang kulit (shadow puppet) plays and dance. Experiencing from the town are roads leading through some of Java’s most densely populated but richest farmlands to some of the oldest Hindu and Buddhist monuments in Indonesia. Some of them date back to the 7th century. The sulfur-spewing volcano, Mount Merapi, looms over the north. 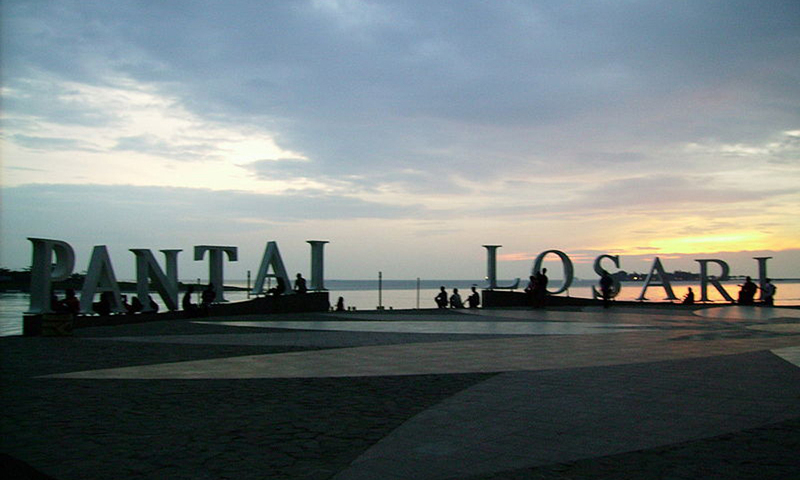 Also a center of education, Yogya’s more than 50 academies and universities attract students, writers, painters and dancers from throughout the world who thrive on innovative thinking and tradition art forms. 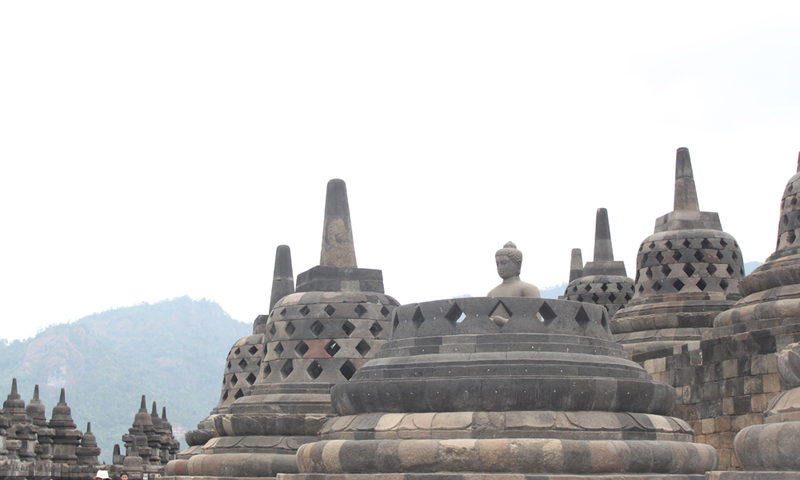 Built in the 8th century, Borobudur is one of the world’s most famous Buddhist monuments. It stands majestically on a hillock overlooking lush green fields and distant hills. Built of gray andesite stone, It rises on seven terraces each smaller than the one bellow it. The top has a great stupa standing 40 meters above the ground. The walls are sculpted in bas-relief, extending over a total length of six kilometers. Surrounded by lush green fields, magnificent Prambanan temple derives its name from the village where it is located. Locally known as Candi Loro Jongrang or “Temple of the Slender Virgin”, it is arguably the largest and most beautiful Hindu temple in Indonesia. Built in the mid-9th century. Its parapets are adorned with bas-relief depicting the famous Ramayana story. 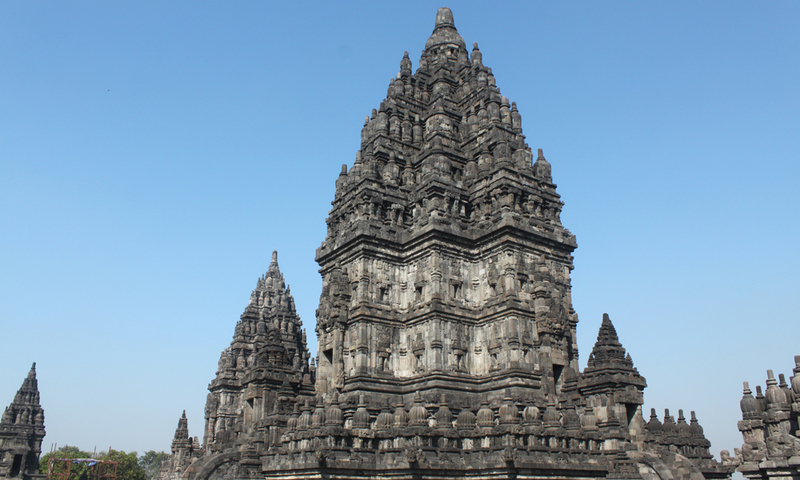 Of its eights shrines, the three main ones are dedicated to Shiva, Wisnu and Brahma. 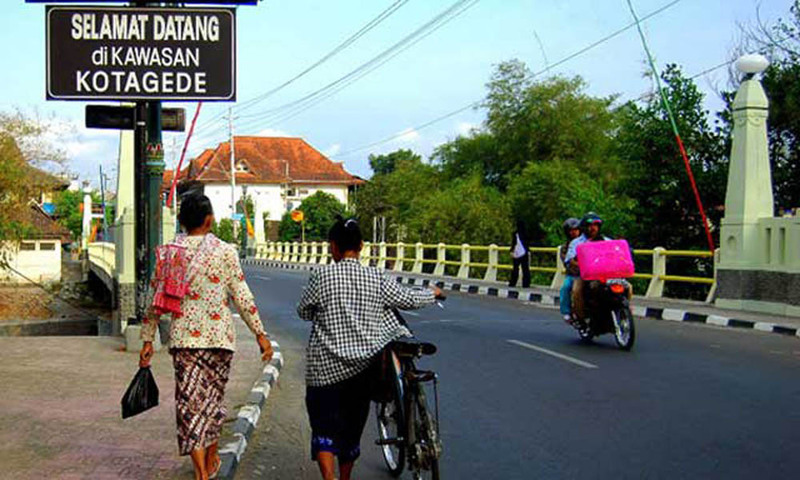 Founded in 1575, Kota Gede was historically a trading center which attracted merchants and craftsmen. Today it’s narrow streets are lined with small silversmith and souvenir shops. A royal cemetery is also located here. 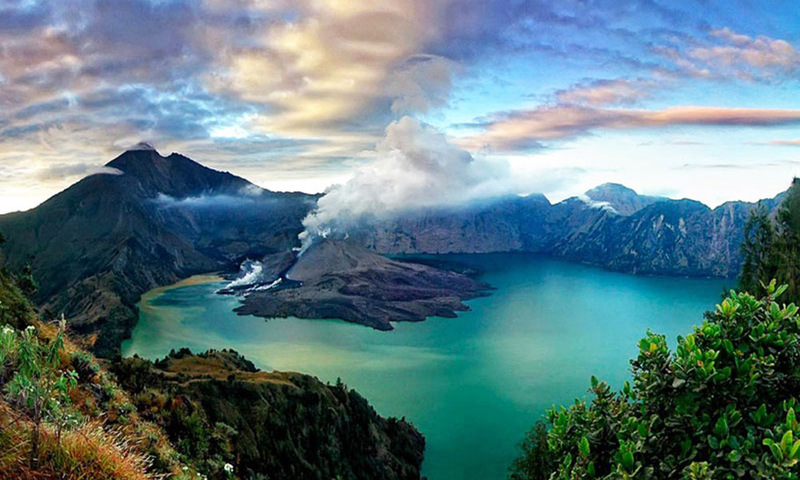 The Dieng Plateau contains the oldest Hindu temples of Java. Eights of the original 400 monuments remain, lying within an old caldera, enclosed by steep mountain walls. Standing at 2,000 meters above sea level, sulfur fumes, bubbling mud holes and clear spring lakes are reminders of the volcano’s existence. 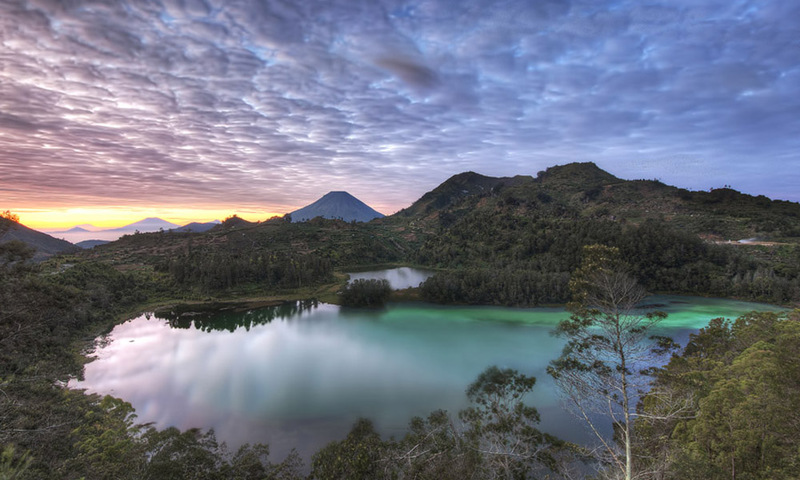 The road to Dieng Plateau passes through tobacco plantations and beautiful mountain scenery. The Kraton, the Sultan’s Palace :A grand and elegant masterpiece of Javanese architecture, the Kraton (Sultan’s Palace) lies in the center of Yogyakarta. It was founded in the mid-1700s on a carefully chosen location between the Winongo and Code Rivers. Most of the buildings are now filled with costumes, gifts from visiting dignitaries and other memorabilia. There are frequently wayang kulit (shadow puppet) shows and gamelan orchestras practicing in a pavilion in the inner courtyard. 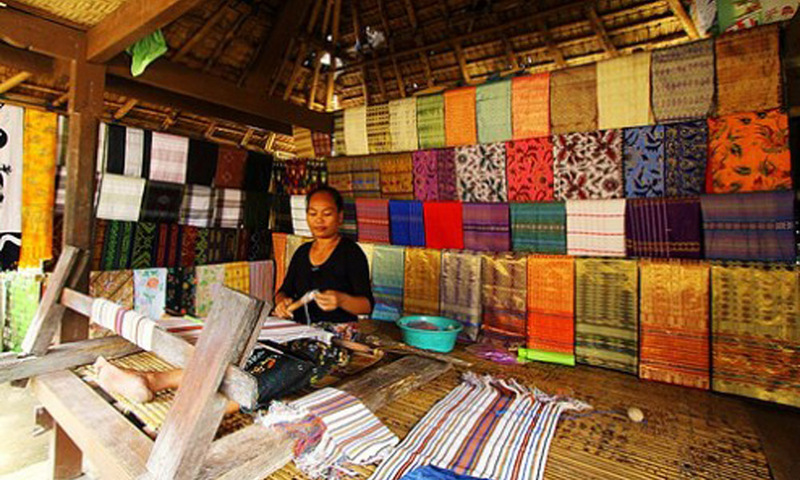 Lombok is known for its traditional weaving the techniques for which have been handed down from mother to daughter for many generations. Sukarara and Sengkol south of Cakranegara are two villages where weavers still work using simple looms making ikat cloths and bright songket cloths interwoven with gold or silver threads. 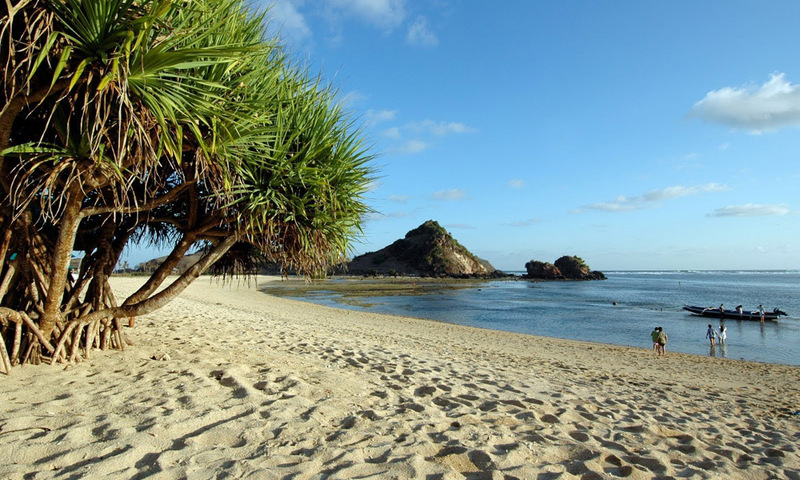 Also known as Putri Nyale Beach, Kute on the south coast of central Lombok is one of the most scenic and unspoiled beaches in this part of Indonesia. 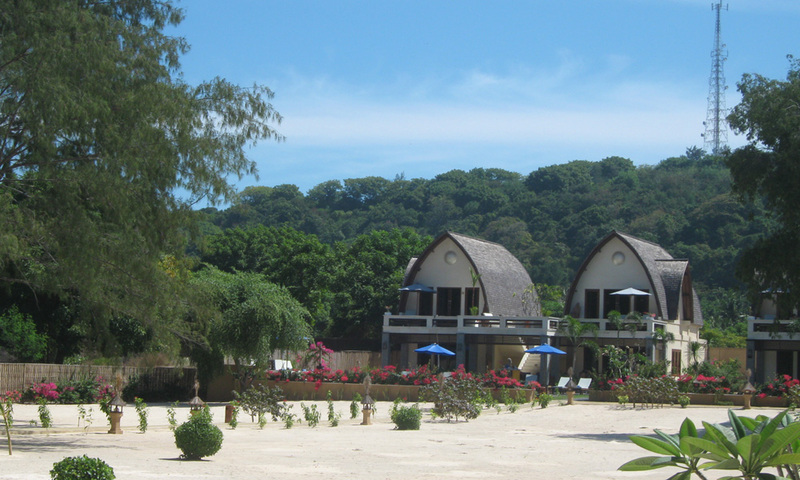 From Kute to Tanjung Aan, 5kms away, is an unbroken stretch of clean white sand abutting the Indian Ocean. It is safe for swimming and further to the west are the beaches frequented by surfers. Each year on the 19th day of the tenth month of the Sasak Lunar calendar when the nyale worms come to the sea’s surface, Kute beach is the site of great festivities. In the Sasak language gili means ‘island’. 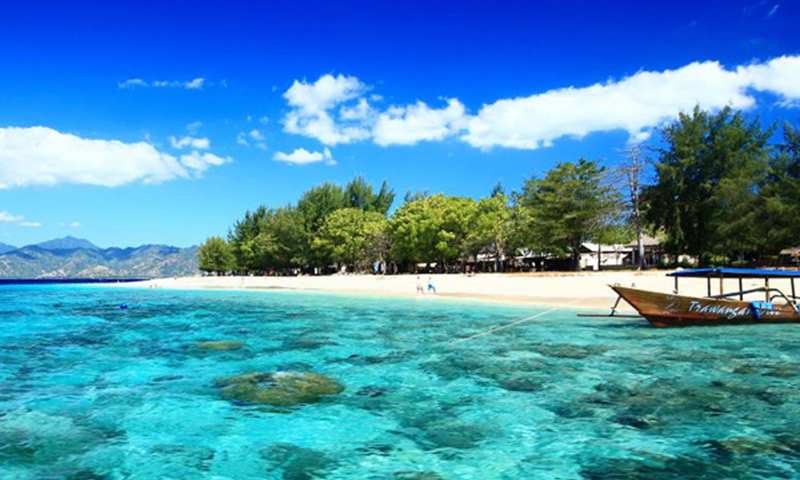 Gili Air, Gili Meno and Gili Trawangan are clustered together just off the northwest coast of Lombok. Coral gardens abound in the clear waters around the islands attracting huge varieties of fish. 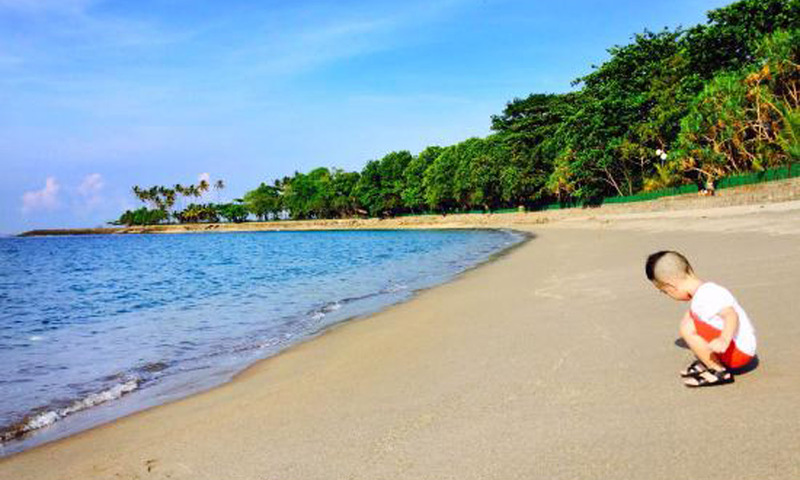 All three have great beaches and attract snorkellers, divers and visitors who enjoy the isolation and want a more relaxed pace during their holidays. 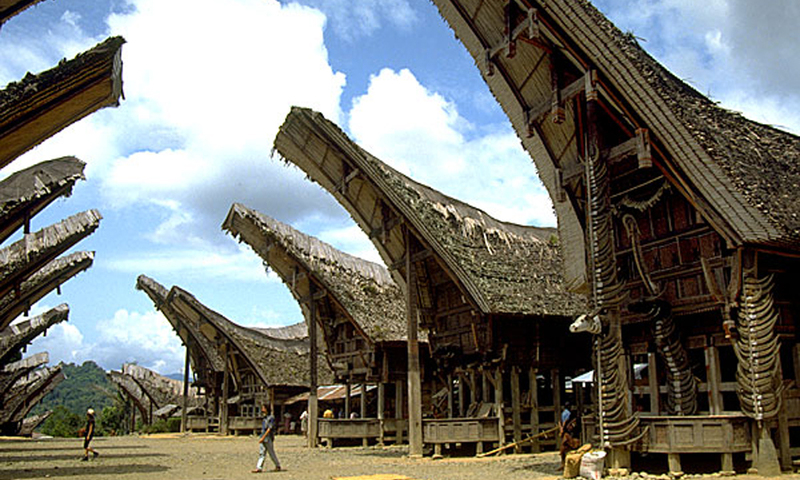 Further north through rugged country is Tana Toraja, often referred to as “Land of the Heavenly Kings’. Believing that their forefathers descended from heaven into a mountain some 20 generations ago, the Torajans have a unique culture and ancient traditions. They are renowned for their unusual architecture and funeral ceremonies, their gravesites placed high in the hills and guarded by wooden effigies (tau-tau).The centre of tourism is Rantepao, 328km from Ujung pandang by road.